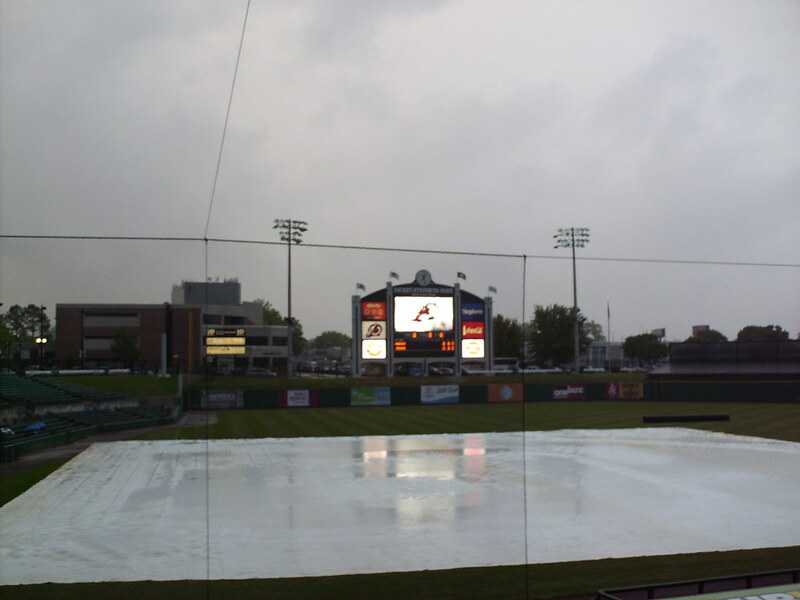 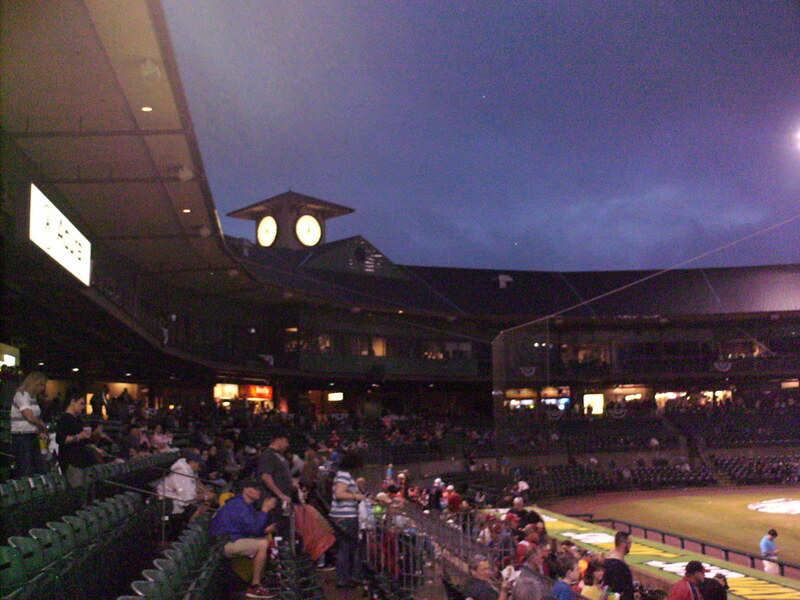 The view from behind home plate at Dickey-Stephens Park. 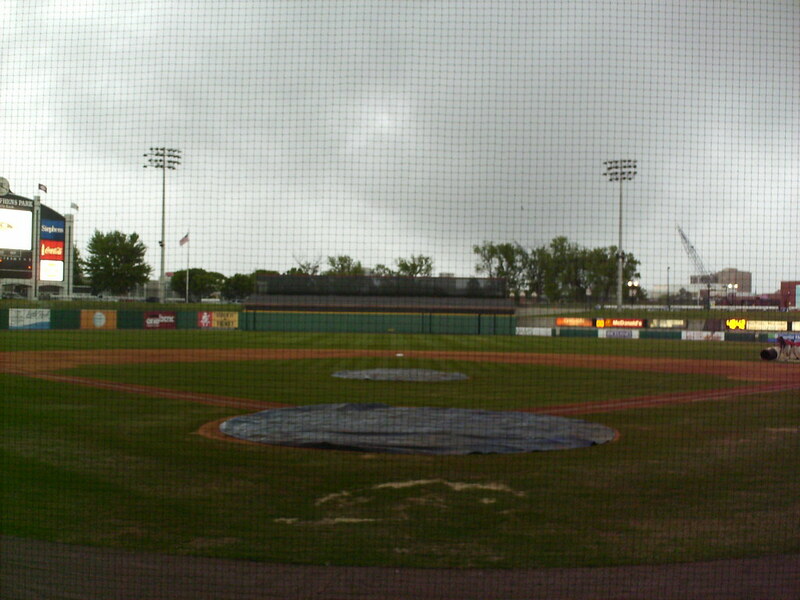 The view from down the first base line before a rain delayed game. 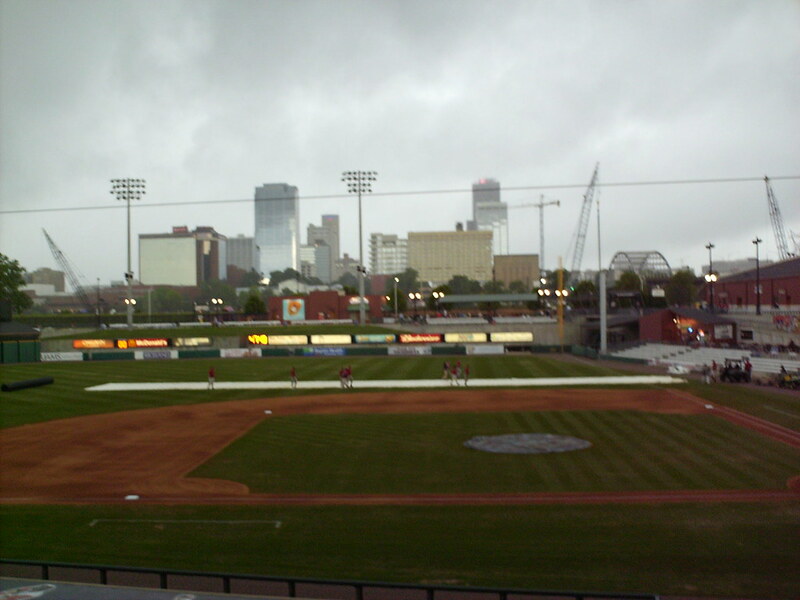 The view from down the third base line looking out across the river to downtown Little Rock. 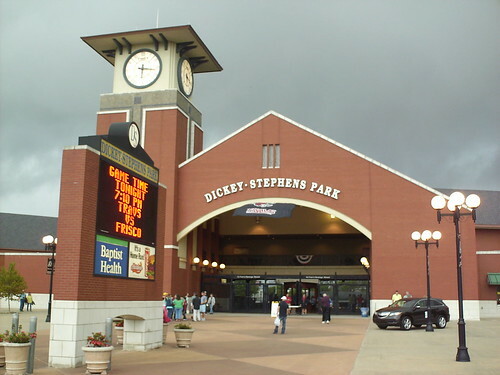 The grandstand at Dickey-Stephens Park, as seen from center field. 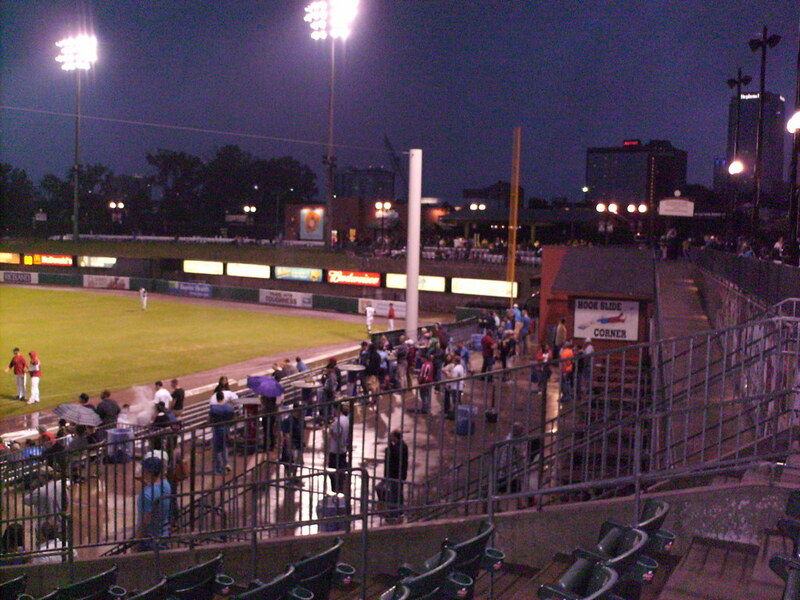 The pressbox and luxury suites underneath the clock tower behind home plate. 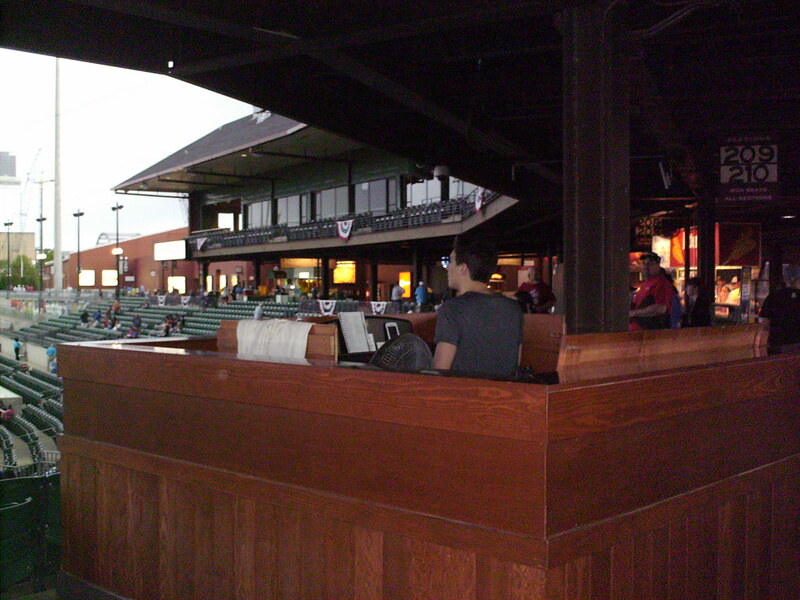 The Travelers feature a live organist in an open box along the main concourse. 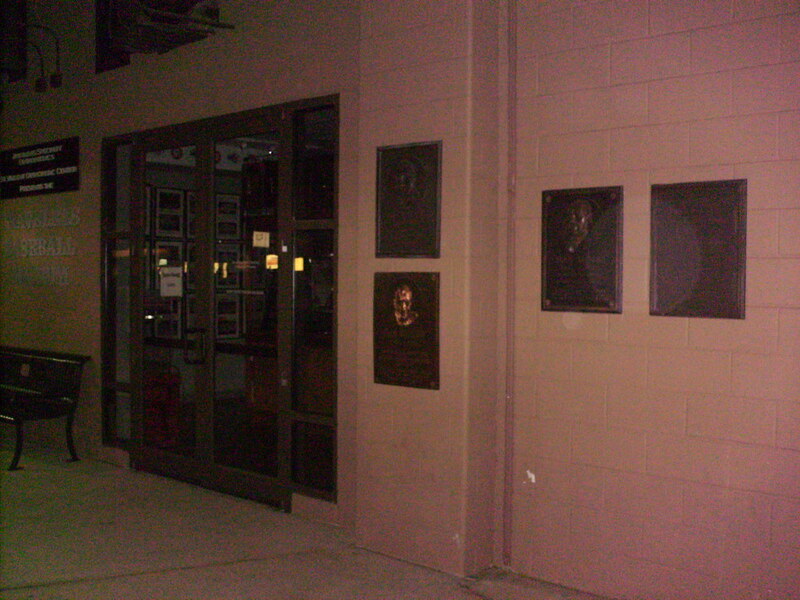 The Travelers Baseball Museum is housed on the concourse of Dickey-Stephens Park and features the dedication plaque from the team's former home at Ray Winder Field. 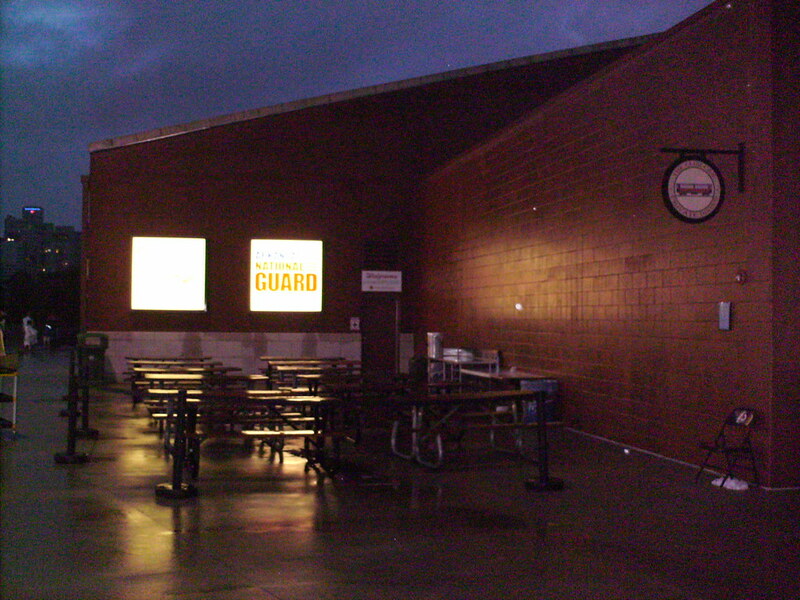 An open-air party area along the concourse in right field. 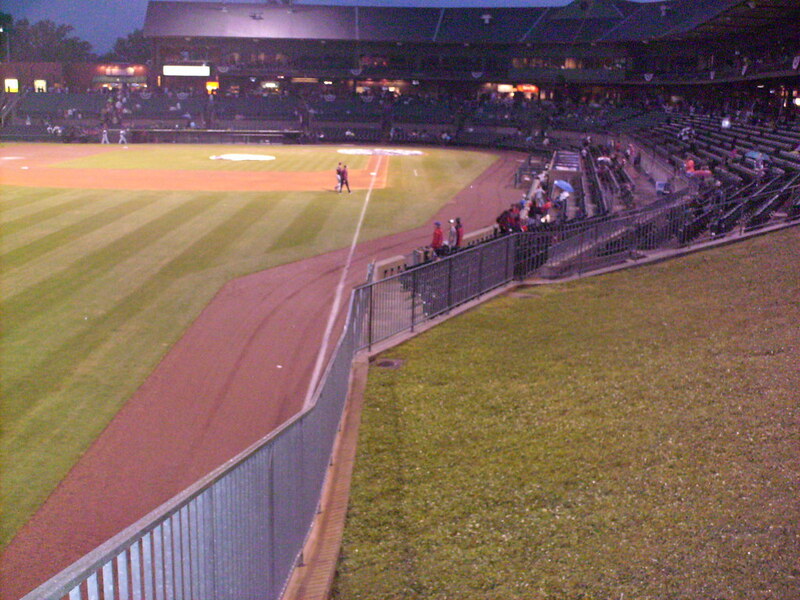 Hookslide Corner in right field features field level bleachers and a BBQ shack. 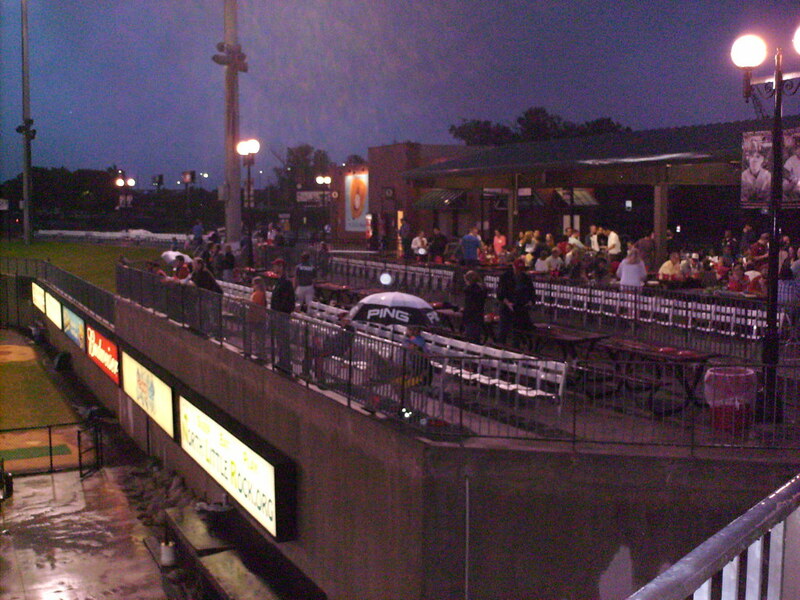 Table seating and a covered picnic area overlook the field from the right field corner. 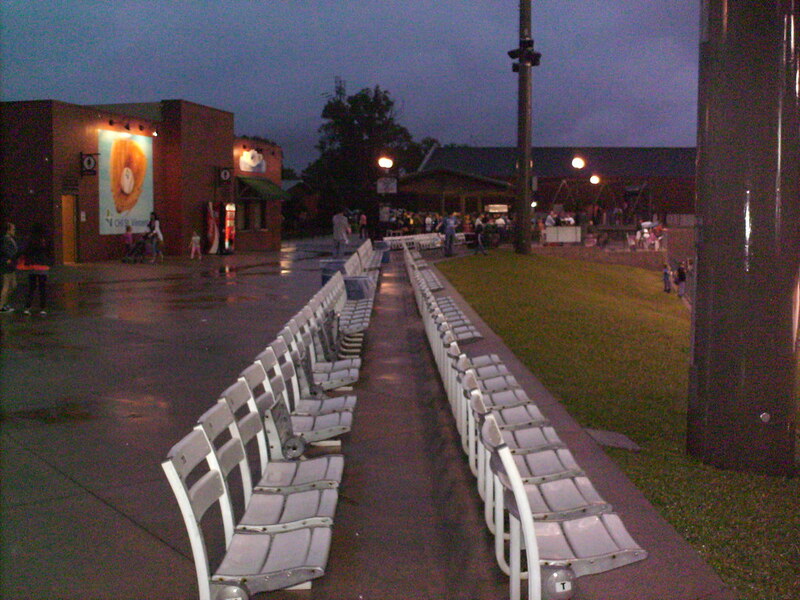 Two rows of aluminum seating ring the top of the outfield berm. 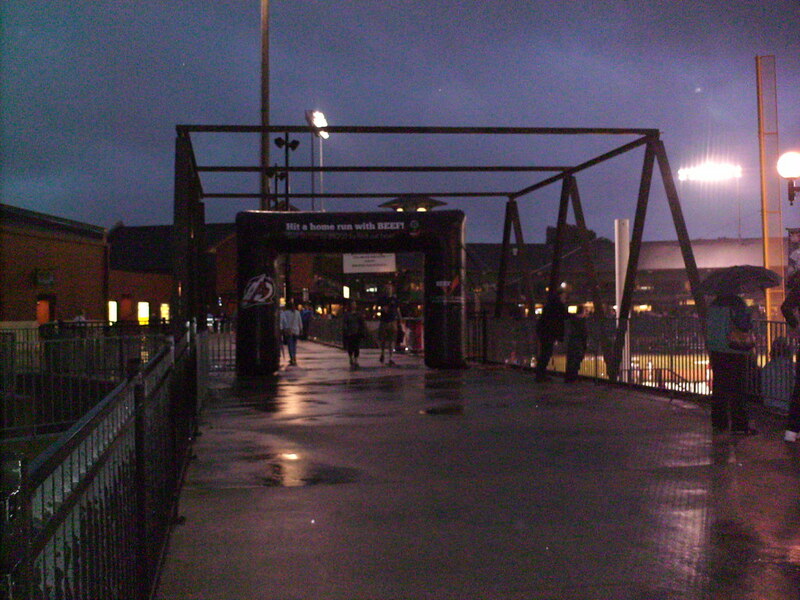 A bridge along the outfield concourse is reminiscent of the bridge outside the park connecting North Little Rock to downtown Little Rock across the river. 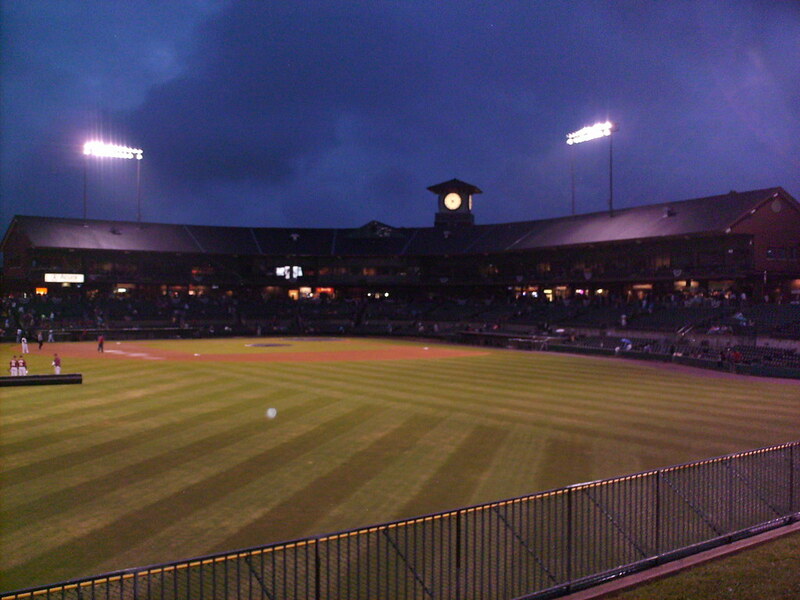 The park features a fair amount of foul territory along the infield, but the berm hugs the foul line in the outfield. 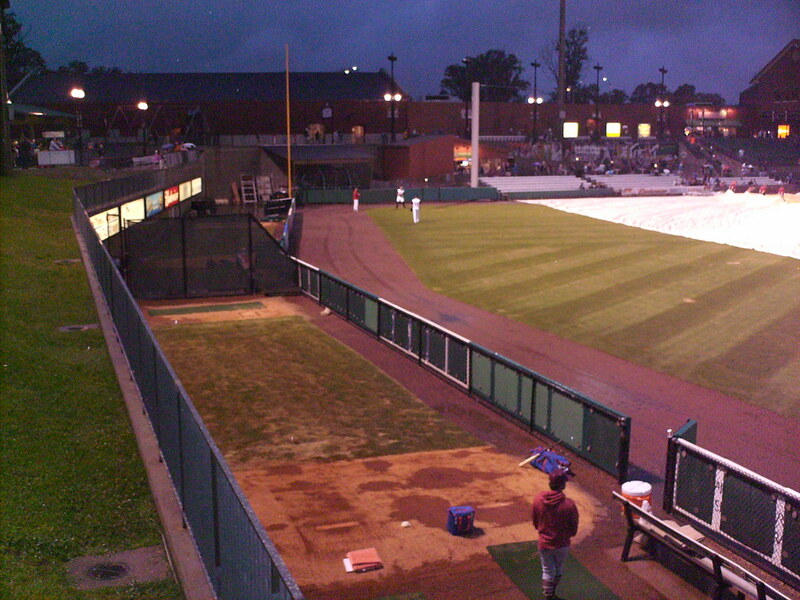 The bullpens sit side-by-side behind the short outfield fence in right field. 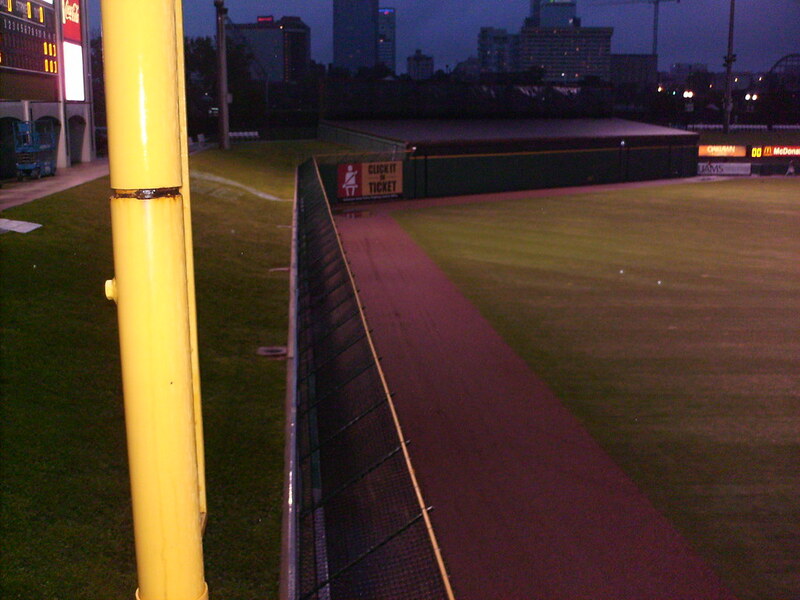 The outfield wall in left field features a fence that angles back in toward the field, hanging out over the warning track. 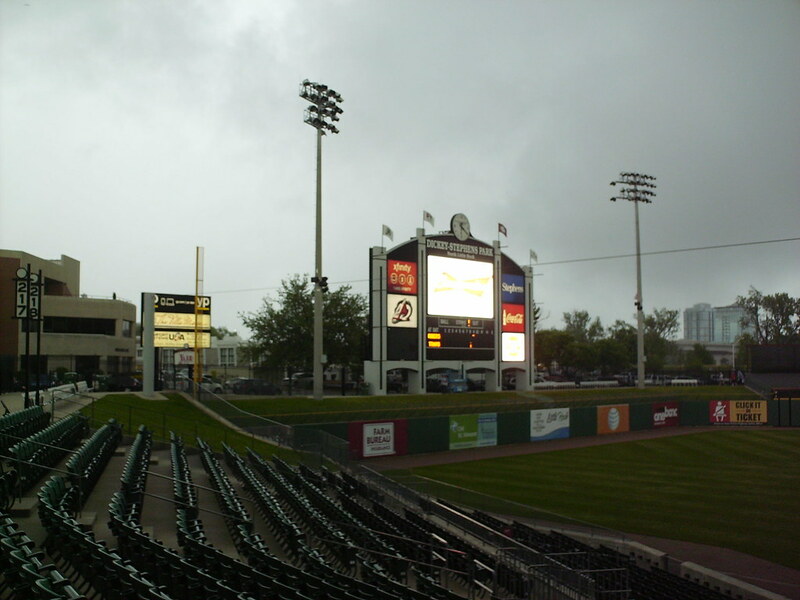 The scoreboard in left field. 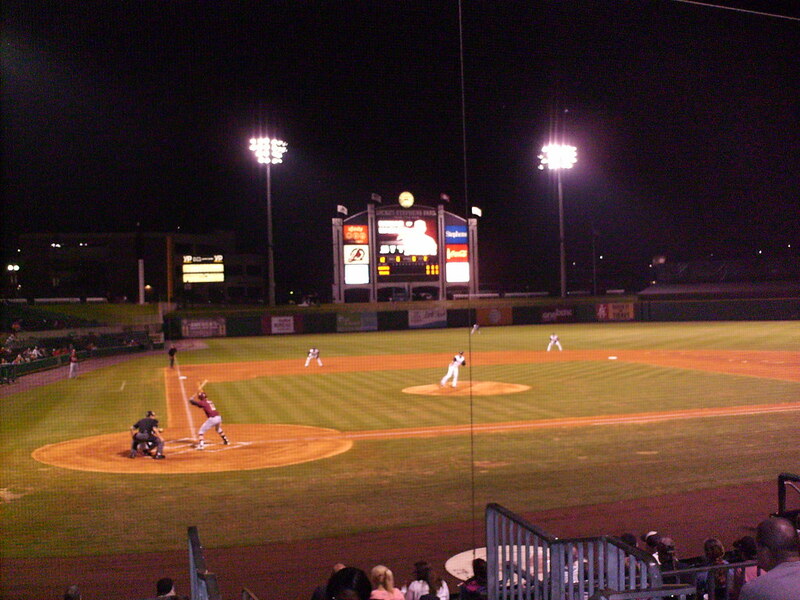 The Arkansas Travelers on the field during a game at Dickey-Stephens Park.